Captain America: Civil War comes out this week in the U.S., and it got me thinking that this isn’t the first movie to be about choosing a side on an important issue. No, I’m not going to compare this film to Batman v Superman: Dawn of Justice… though it might just warrant a Movie Matchup in the future. What I’m actually going to do is go back and talk about other films that have done excellent jobs of setting up likable or at least intriguing characters on opposite sides of a debate who the audience and the characters in the film are equally drawn toward. I’m going to talk about five films, but I think they represent different categories of rivalries that show up in many other films. Magneto and Xavier. They are persuasive leaders in the mutant movement, they both want mutant freedom, and they are even close friends. But they are also bitter enemies who do their best to undermine each other’s efforts at every turn. 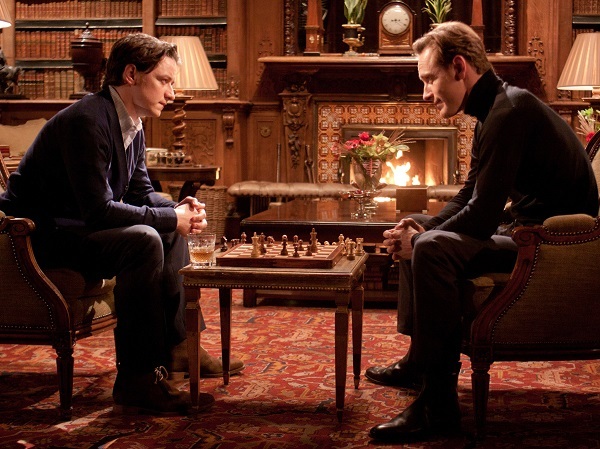 We see the genesis of their lifelong friendship and rivalry in X-Men: First Class. The first three X-Men films had shown them being generally opposed to each other’s methods of reaching equality, but First Class introduced their rivalry over a beloved pupil – Mystique. She loves Xavier as a brother, but she’s seduced by Magneto as by a forbidden lover. She leaves Xavier for Magneto by the end of this film and then leaves both of them in Days of Future Past, though it’s clear she’s taking a leaf out of Xavier’s passive playbook more than Magneto’s aggressive ideology. Another example of this type of story is The Karate Kid Part III. For all of that film’s faults, it does have an interesting story to tell about Daniel LaRusso being tempted to give in to his hatred through the brutal, negative training of a rival sensei. I personally think it would have been a much more interesting film if we didn’t know he was evil right from the get-go. Luckily, Mr. Miyagi steps in and helps Daniel remember how karate is meant to be used. I admit it, I enjoy New Moon. It’s the film that saved the Twilight series in my eyes. It takes a so-so novel and turns it into a riveting tale of mythical creatures and romance. This is the film that properly introduces the Edward-Bella-Jacob love triangle. The first Twilight clumsily introduced the main characters, but this film forces Bella to start making choices. Edward is an imperfect hero, to be sure. But everything he does (in his perpetually adolescent mind) is to try to protect the girl he loves. Leaving her is the only way he can think of to remove the threat to her life. But all that does is put her in even more danger as she comes face to face with rival vampires and werewolves. Bella becomes close friends with Jacob, and she starts to think she could be happy with him, if Edward never returns. Although some love-triangle romances (like The Wedding Singer) try to make it clear who we should be rooting for the girl to end up with, I prefer films like New Moon or The Philadelphia Story where all the suitors are good men and she could be happy with any of them. 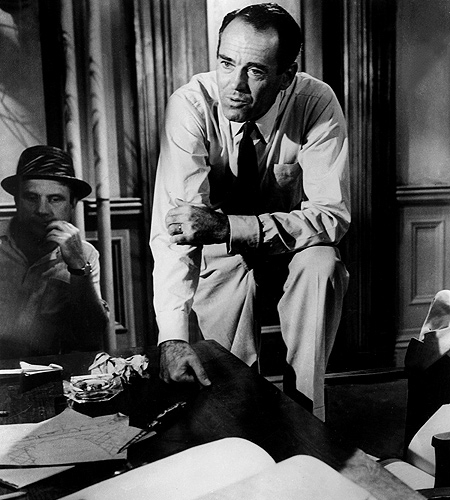 12 Angry Men (1957) has a legendary cast and a timeless message: The truth is not always popular. This film is about 11 men who just want to go home and one lonely individual who wants to see justice served. The men are locked in a hot room at the courthouse after an equally heated trial. They hope to decide quickly that a young man accused of murder is guilty, but one man persistently votes not guilty because he thinks there’s not enough evidence to convict. His voice of reason inspires others to question their certainty. Vote after vote, the tide slowly turns until everyone (even an angry man with family issues) believes the young man is innocent. It’s a testament to the power of the criminal justice system and what a single person can accomplish if they’re willing to stand up for what’s right. I also enjoy Mr. Smith Goes to Washington, as an example of one man struggling to uphold justice, even if it means going against his childhood idol. 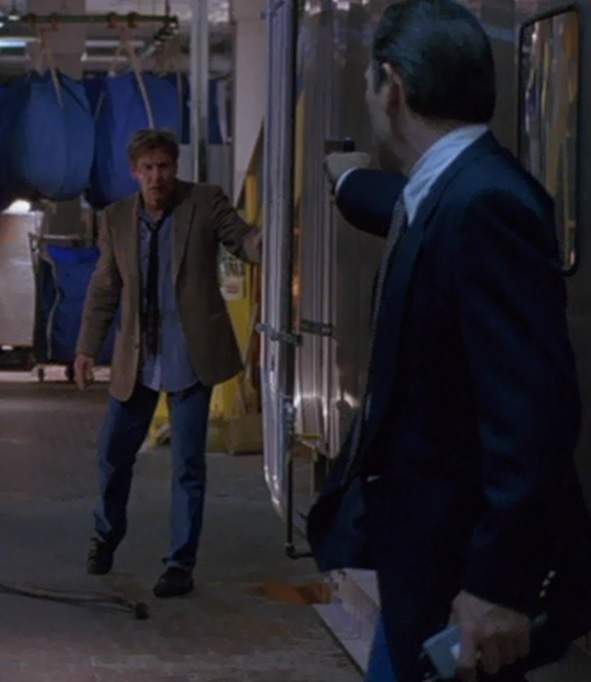 The Fugitive is a perfect film. It takes a simple concept and turns it into an epic adventure. Richard Kimble desperately wishes to prove he didn’t kill his wife and see the right man put into prison for that terrible crime. Chief Deputy Marshall Samuel Gerard doesn’t care about Kimble’s innocence or guilt; he just wants to see a convicted felon put back in prison. The reason the film works so well is because we grow to love Kimble as he overcomes obstacles and narrowly evades detection as he puzzles through his wife’s murder, and at the same time we grow to love Gerard as he starts to realize Kimble doesn’t fit the profile of a murderer and he may in fact be innocent after all. In the end, we’re rooting for both of them, and we get to cheer for both at the climax. Gerard gets his man and Kimble gets his man, and the two prove to be one and the same. Catch Me If You Can also captures the wonderful spirit of cat and mouse while also making the audience care deeply about both. Sometimes you just want to see two egotistical guys vying for control over each other. When huge egos clash, the results are explosive. Take Crimson Tide. It’s a thriller about a nuclear submarine captain and his first officer who couldn’t be more different. 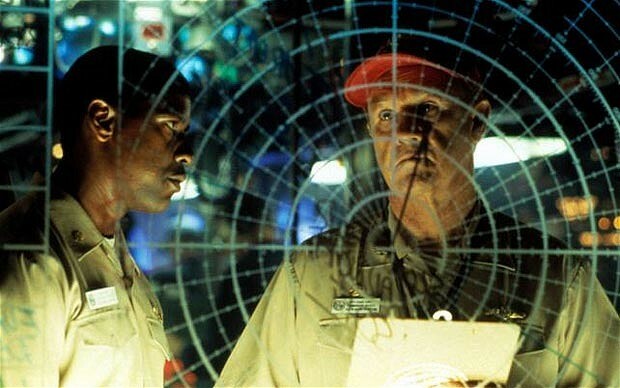 The captain (played by Gene Hackman) is impulsive while his first officer (played by Denzel Washington) is more patient. When their communications are disrupted after getting one message to launch their nuclear weapons and another message that is cut off prematurely, they argue and instigate mutinies against each other to try to get their way. Will the world be plunged into nuclear war if they pull the trigger or will it be equally decimated if they hesitate too long? The two men have an equally strong case for their actions, and as a court martial judge later asserts, they were both right and wrong in this situation. That ambiguity makes it even more riveting to see who comes out on top. Spartacus also falls into this category. Spartacus is obviously the hero with his desire to free slaves and escape to permanent safety with his liberated army, but his rival Crassus is surprisingly sympathetic, as well. He is obsessed with serving Rome, as though it’s his secret love, but his love is never reciprocated by Rome or anyone he meets. Those are just a few examples of films about picking sides. I personally can’t wait for Captain America: Civil War. I’ve loved both of the previous Captain America films, and I’m definitely picking his side over Iron Man’s. But that’s beside the point. This entry was posted in Random Stuff and tagged 12 angry men, action movies, comic books, crimson tide, films, fugitive, movie review, movies, new moon, relationships, rivalries, romance, twilight, x-men. Bookmark the permalink. That’s very true. Twilight was definitely the starting point of this trend, for better or worse.